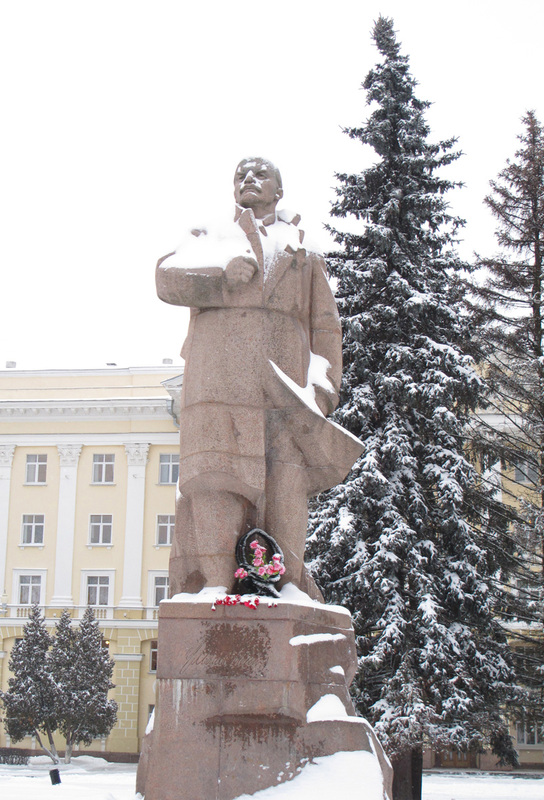 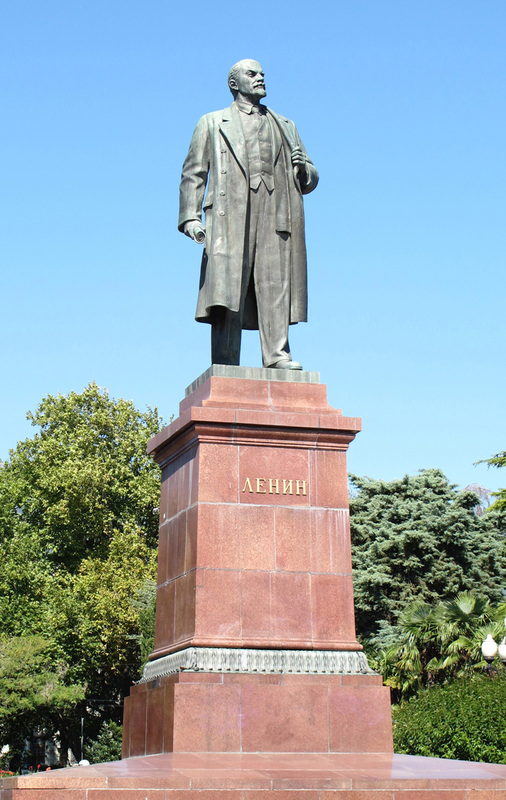 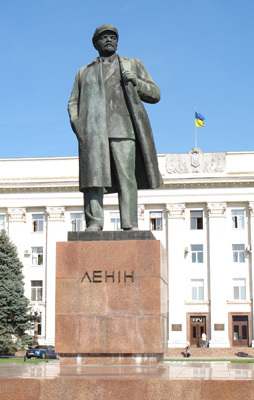 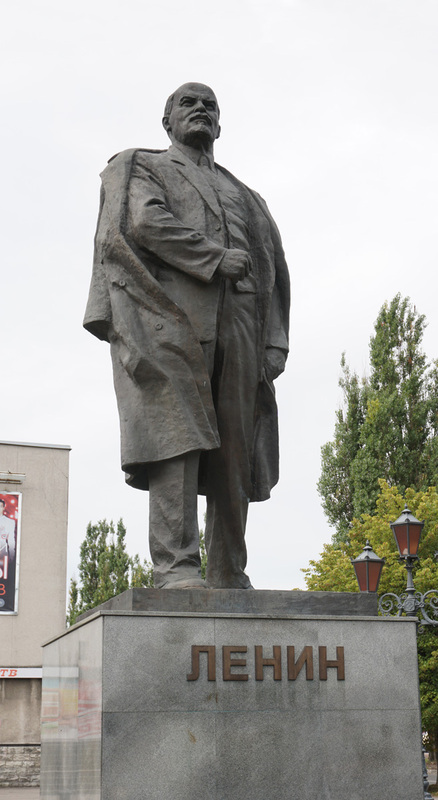 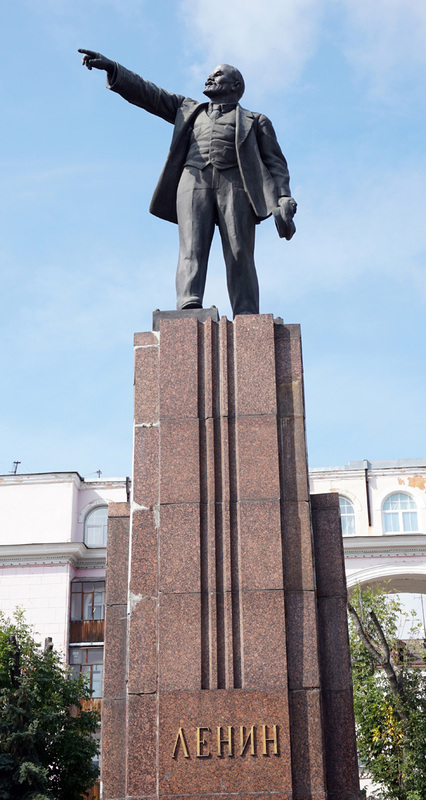 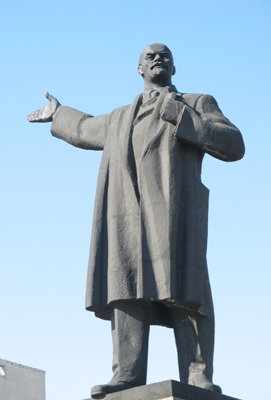 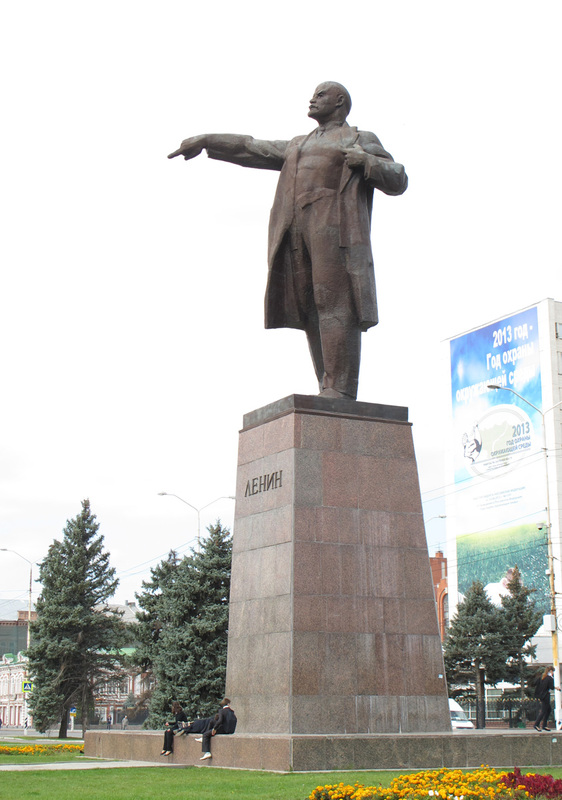 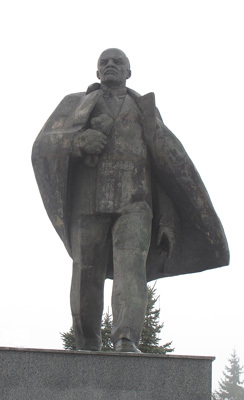 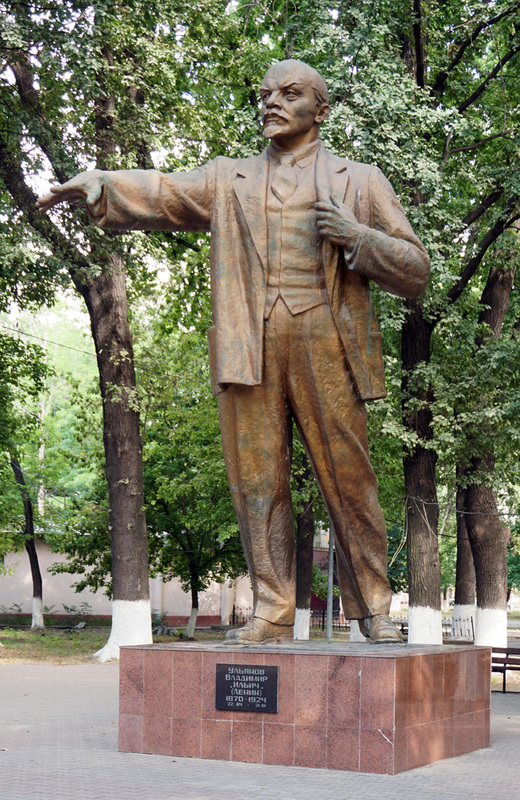 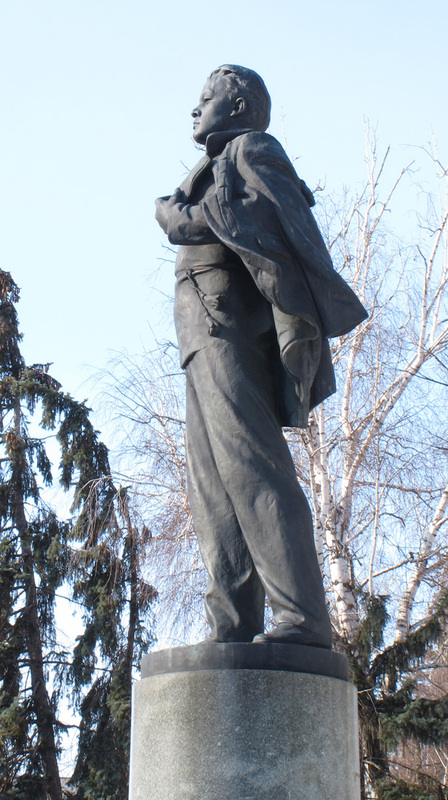 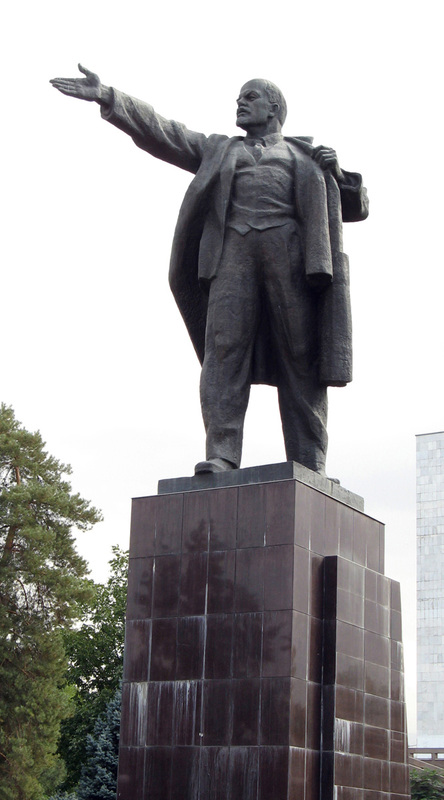 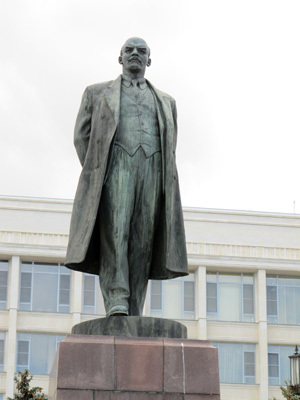 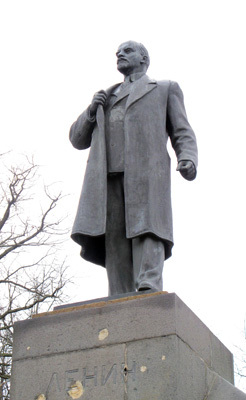 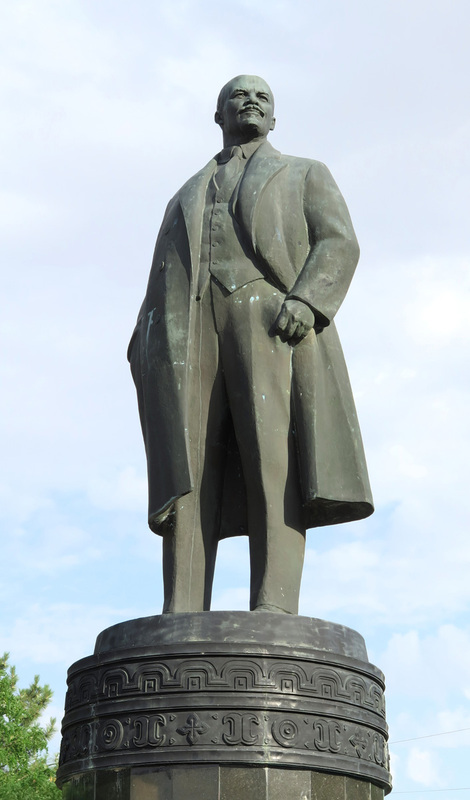 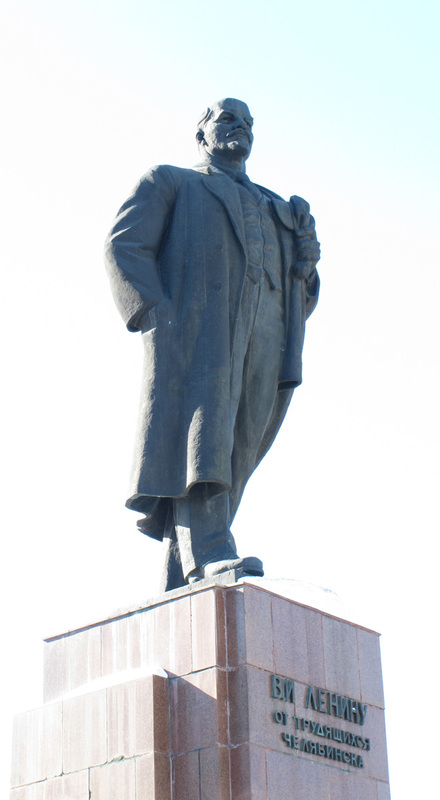 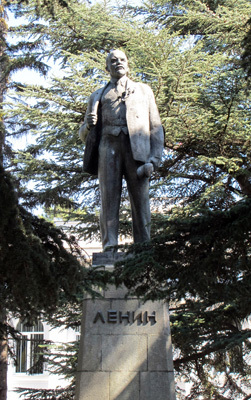 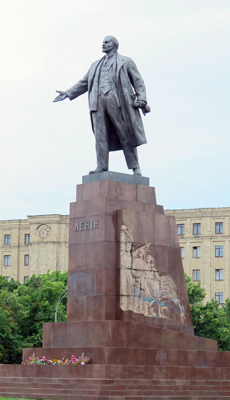 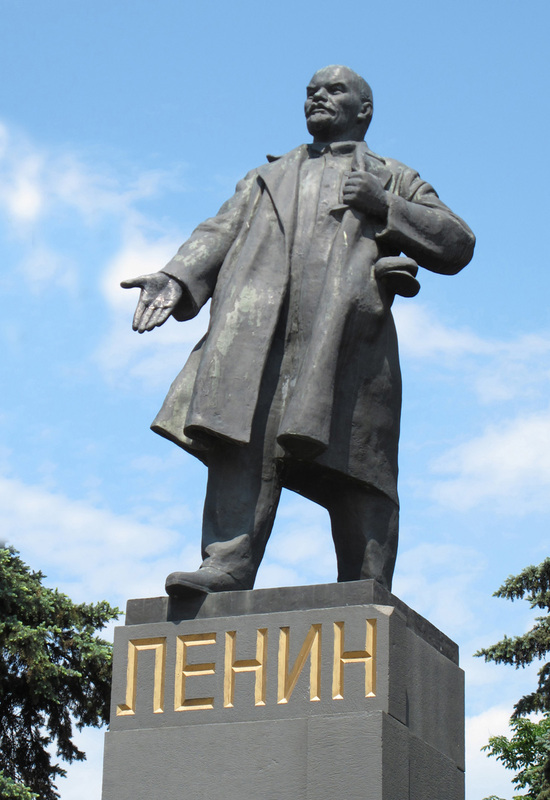 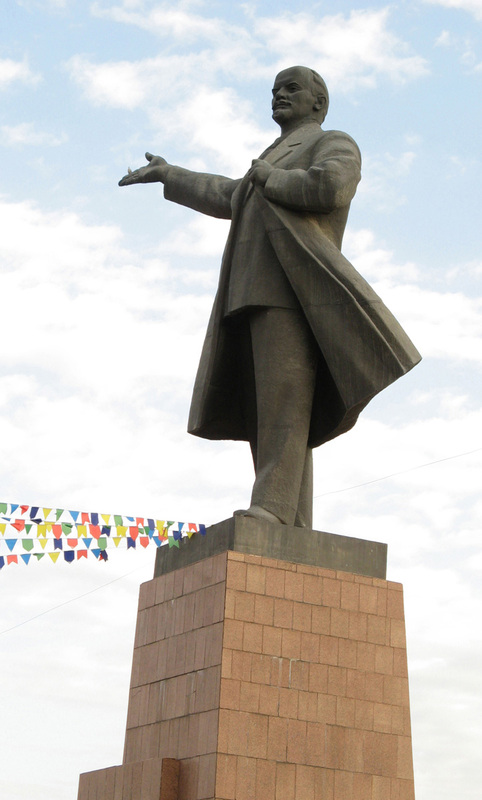 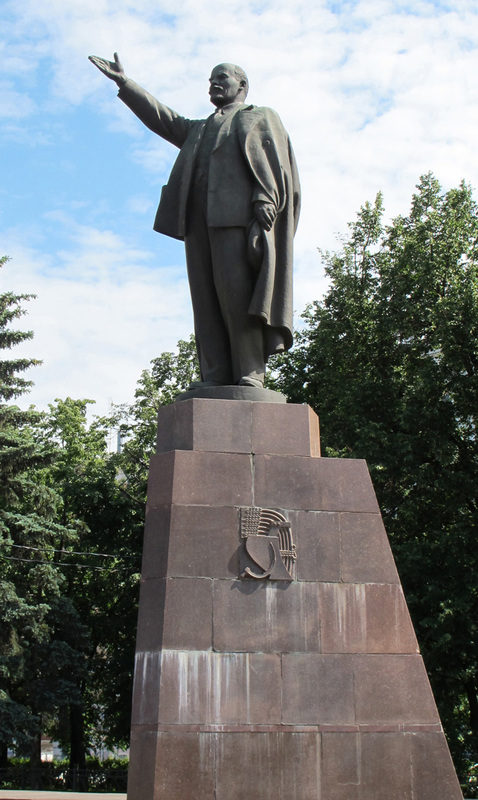 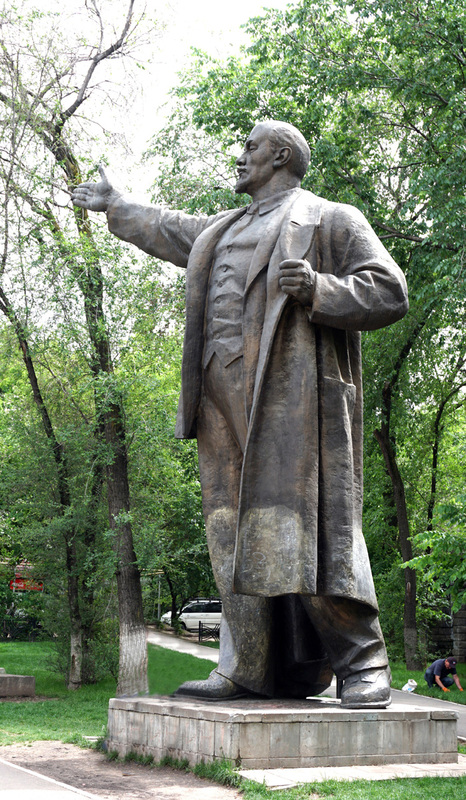 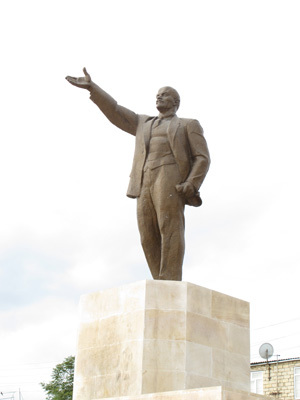 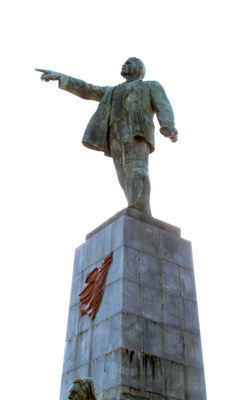 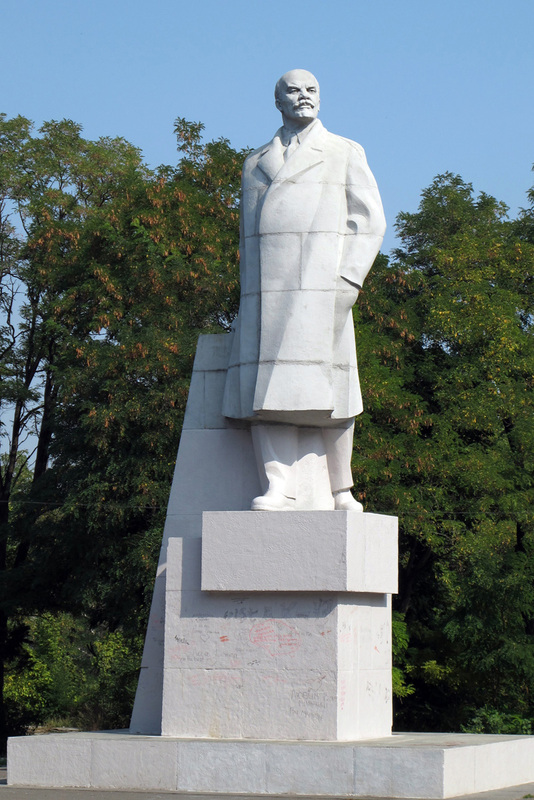 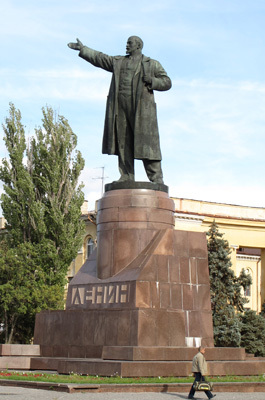 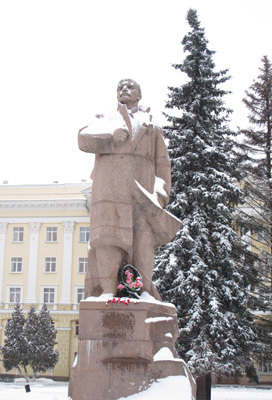 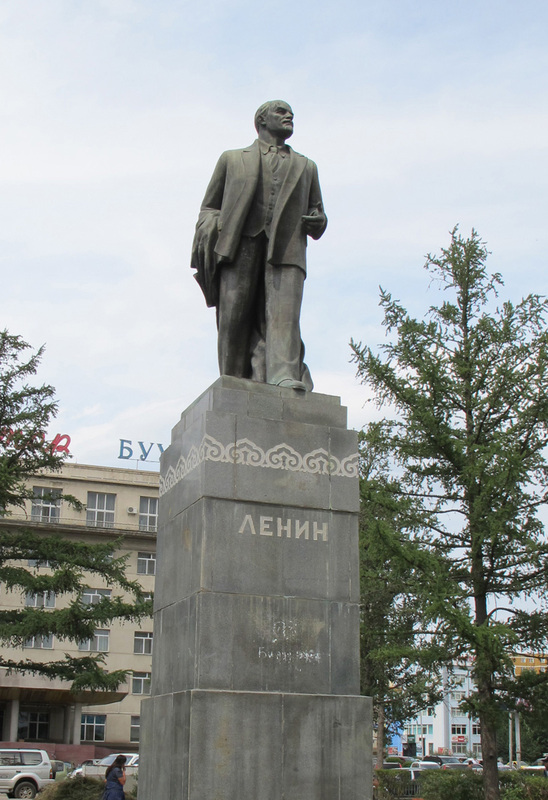 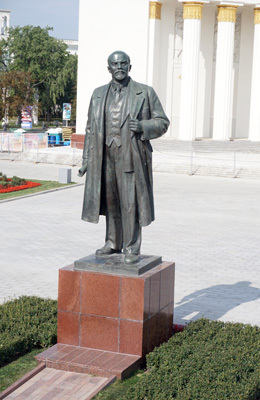 I was startled when I ran across my first Lenin "in the wild" in Kazakhstan, complete with fresh red flowers. 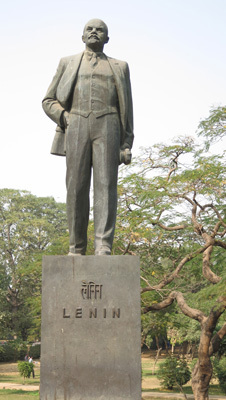 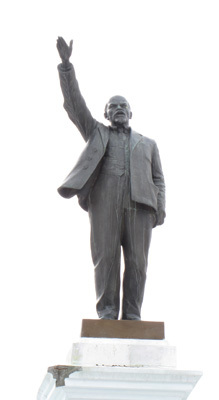 I had vaguely assumed that Lenin had been swept into the dustbin of history, and his statues with him. 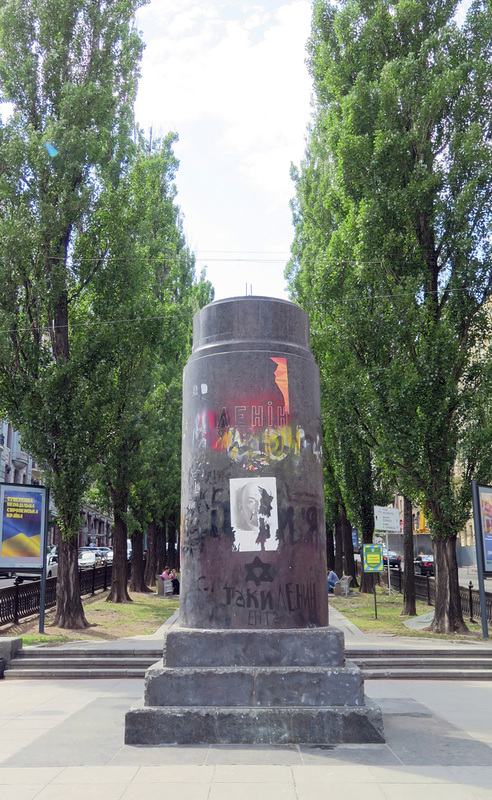 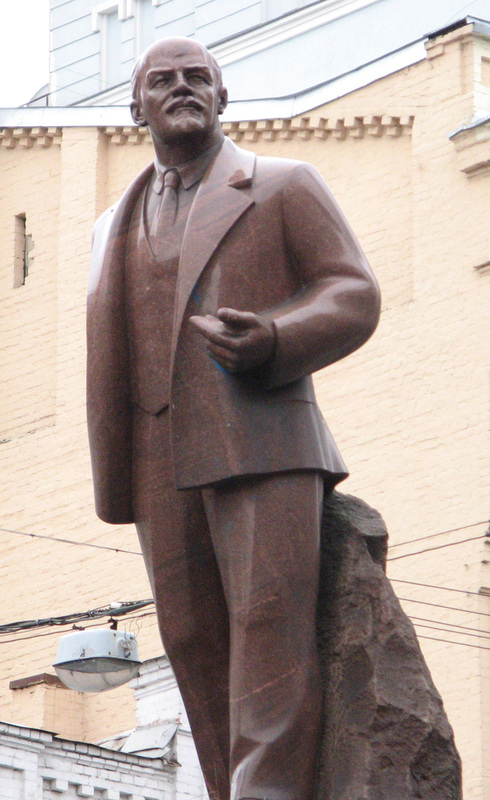 But no, he still typically retains a prominent place in most of the major cities of Russia, and in scattered other parts of the former USSR. 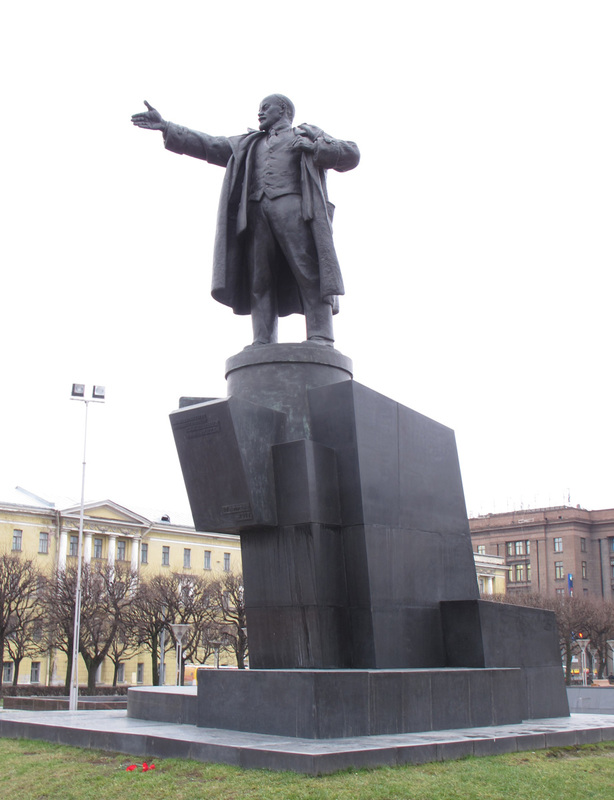 I've now seen him in about sixty cities, from Brest to Vladivostok. 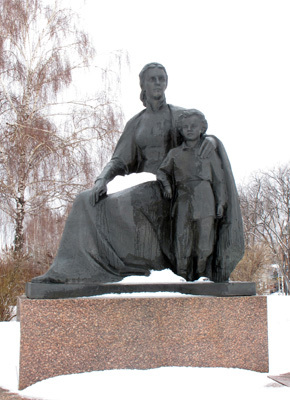 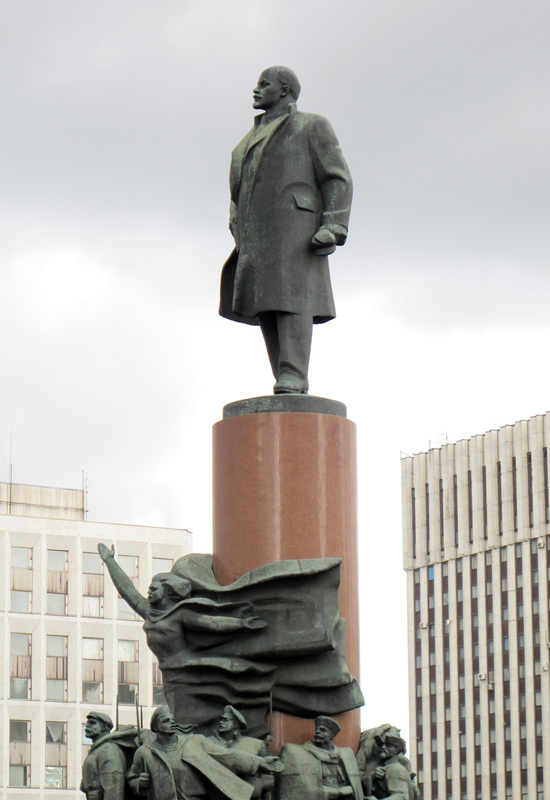 The presence of Lenin is often a clue to how a country feels about the Soviet heritage and about today's Russia. He has vanished from public spaces in the Baltic republics, relegated to museum cellars. 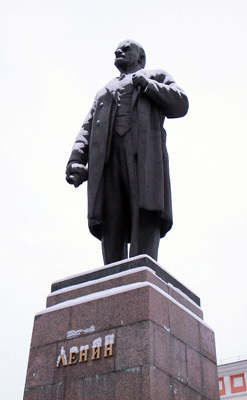 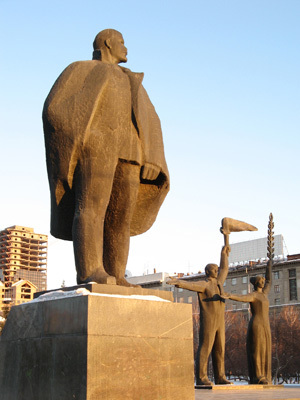 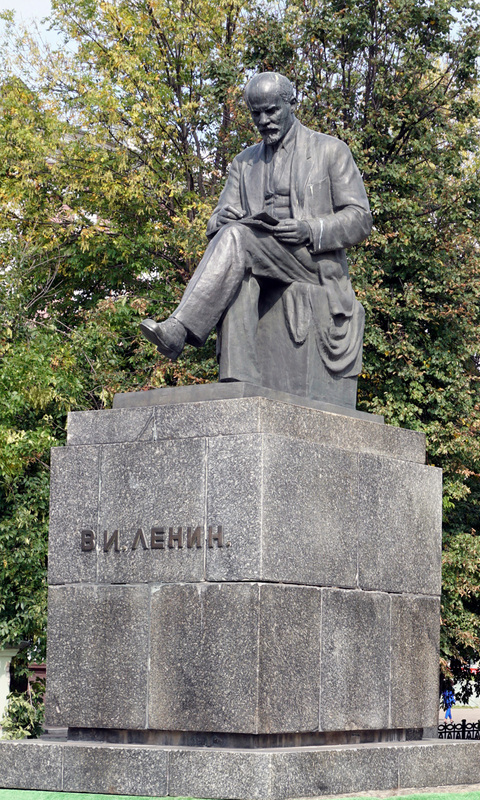 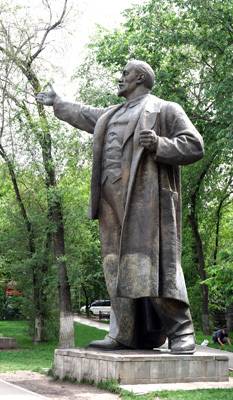 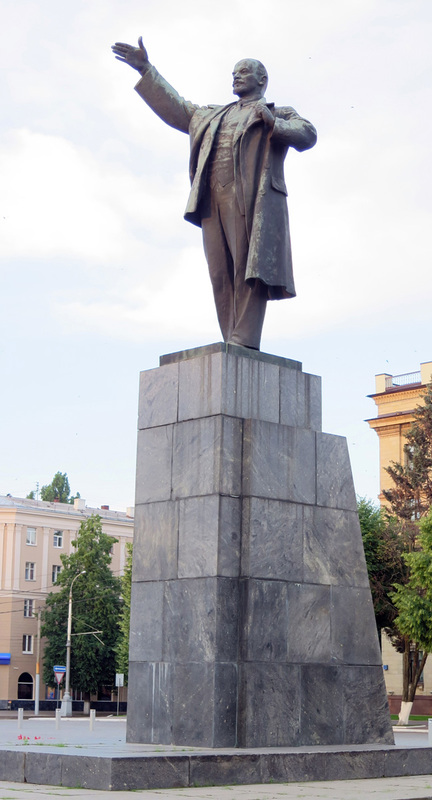 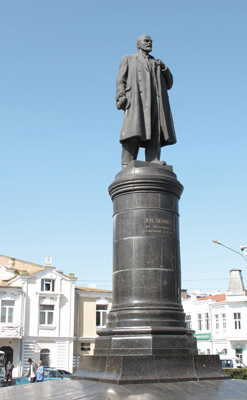 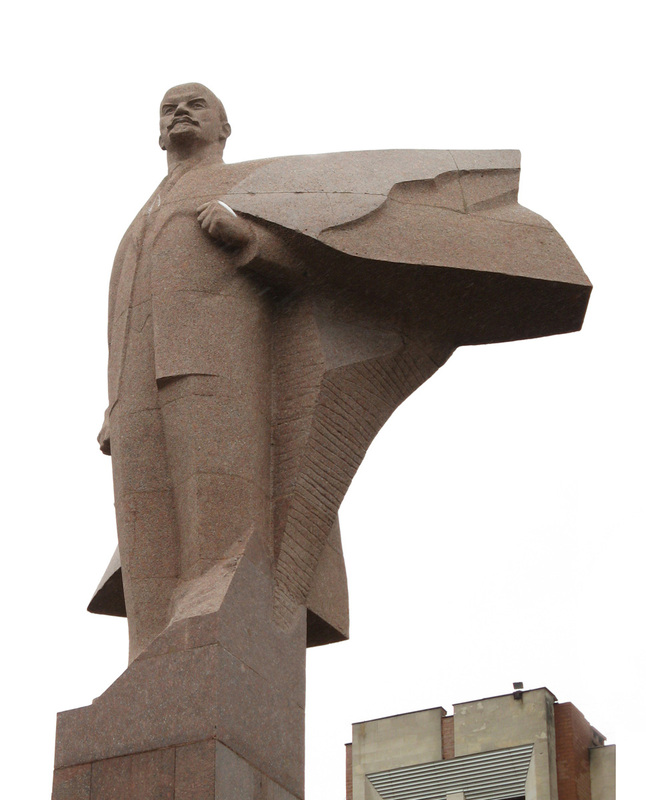 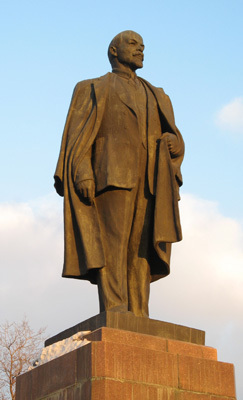 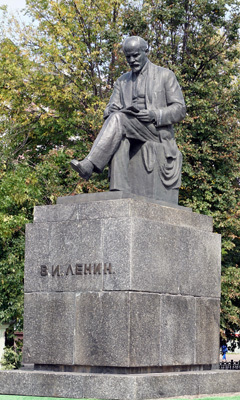 He remains prominent in Russia, Belarus and Transdniester. In some countries he is mostly absent, but occasionally surfaces in districts with a strong ethnic Russian presence, such as the Crimea, or Karaganda in Kazakhstan or Khojand in Tajikistan. 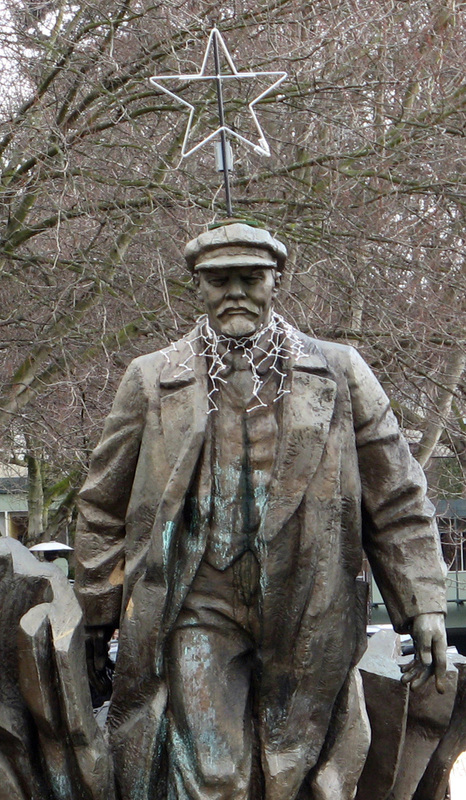 And finally, for no good reason, he shows up in Seattle. 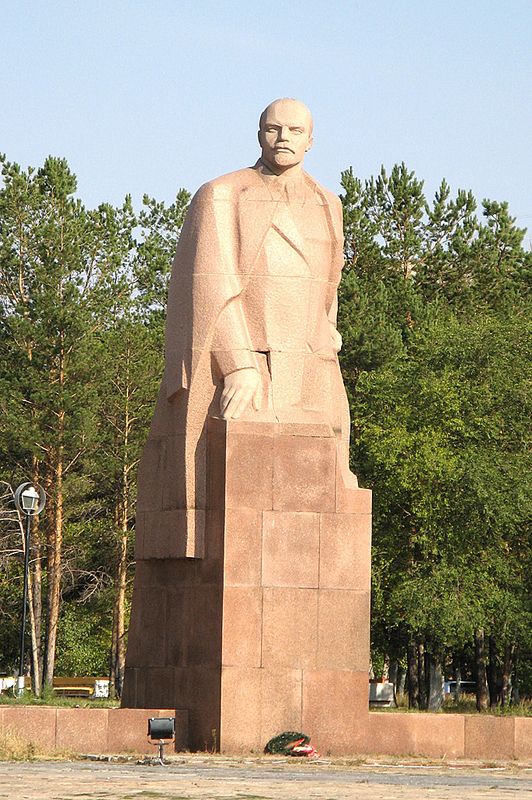 Exiled to a small suburban park. 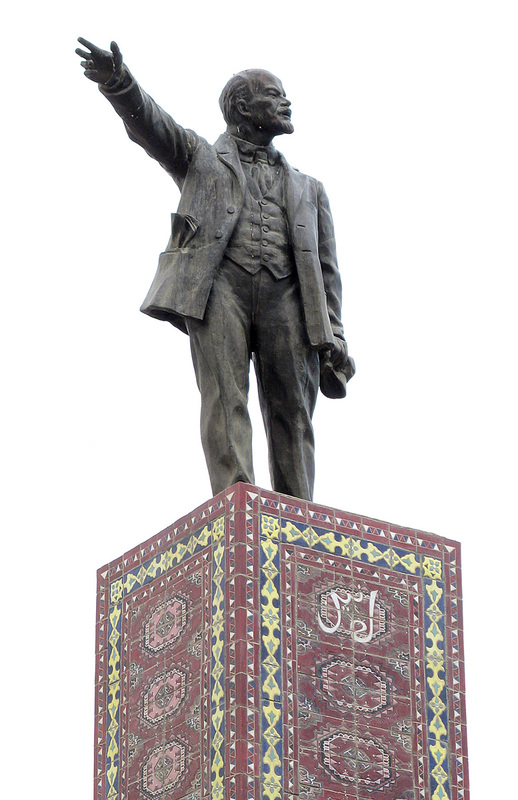 With a beautiful Central Asian plinth. Getting ready to welcome 2011. 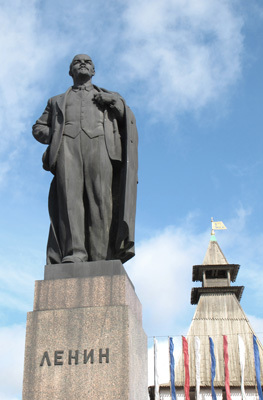 Formerly in the main square, now banished to a quiet side street. 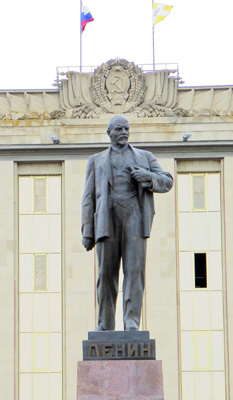 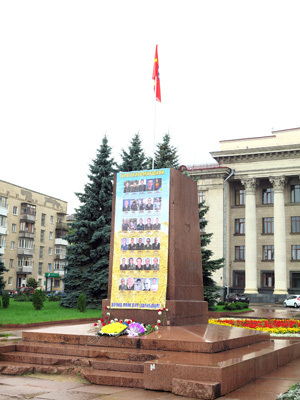 Unveiled during Gorbachev's 1987 visit. 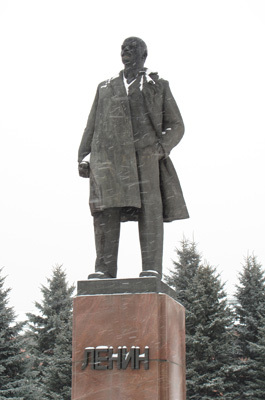 Looking skeptical in Buddhist Elista. 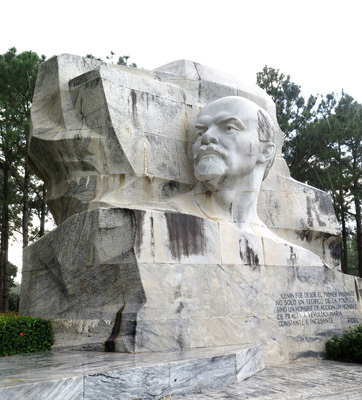 Giant Lenin head, Parque Lenin. 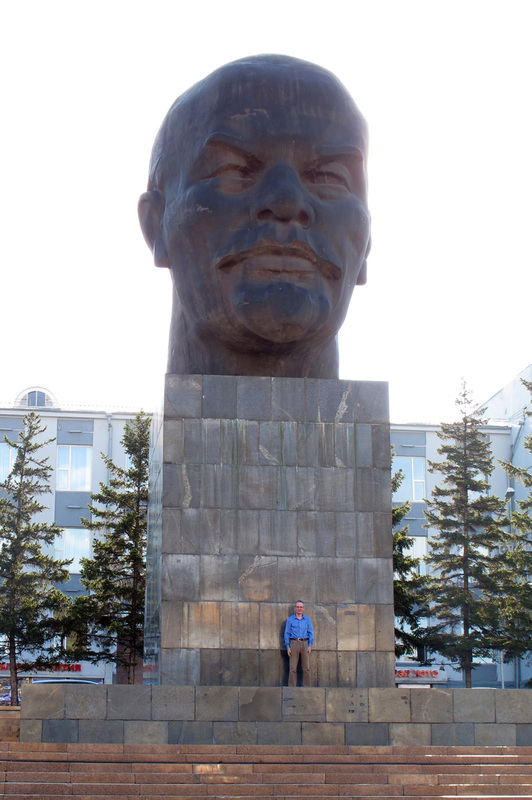 With a laudatory quote from Fidel. 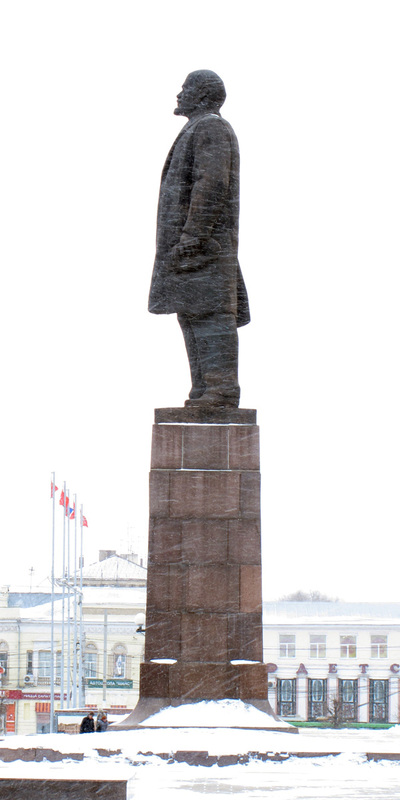 My first Lenin sighting "in the wild". 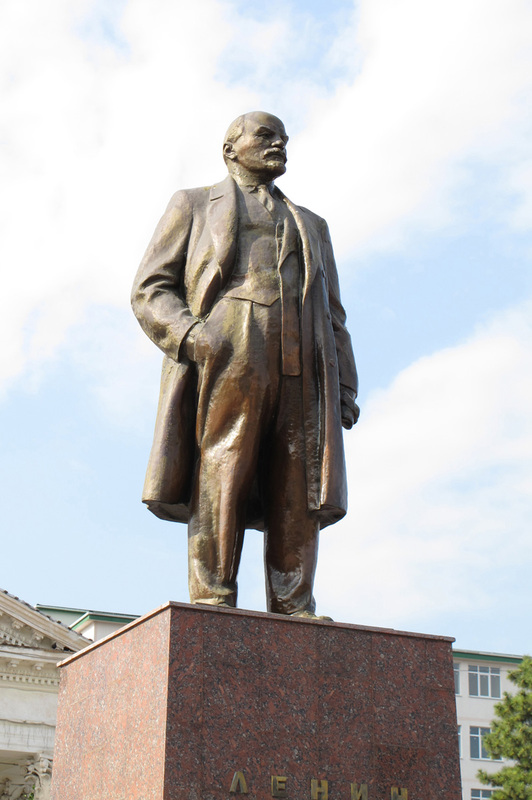 My favorite Lenin, showing him as a student at the Kazan State University. 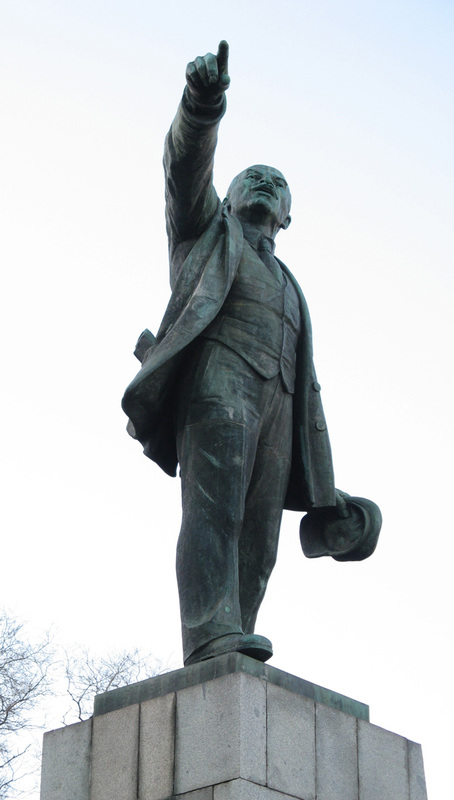 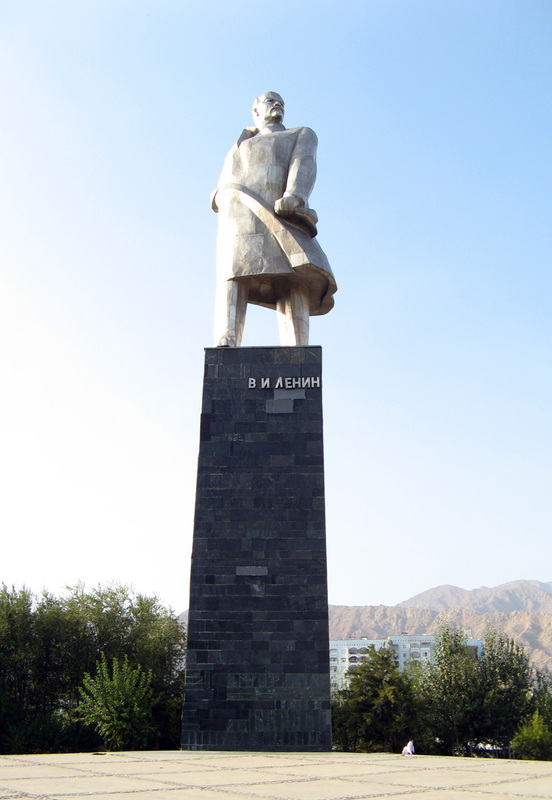 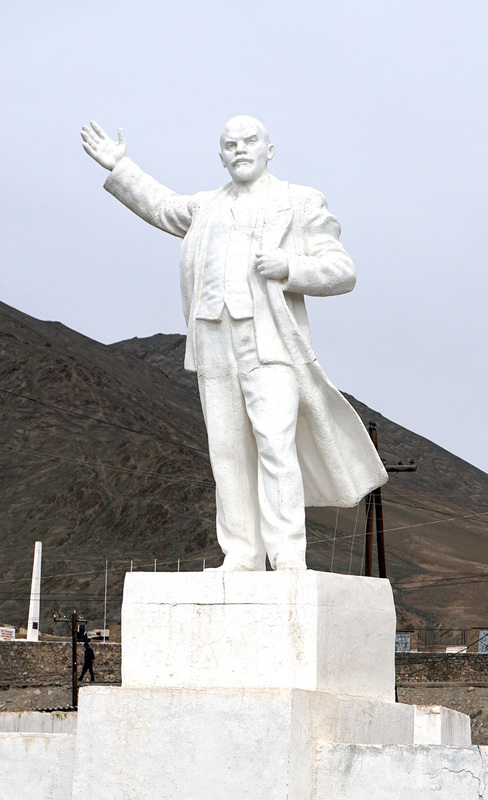 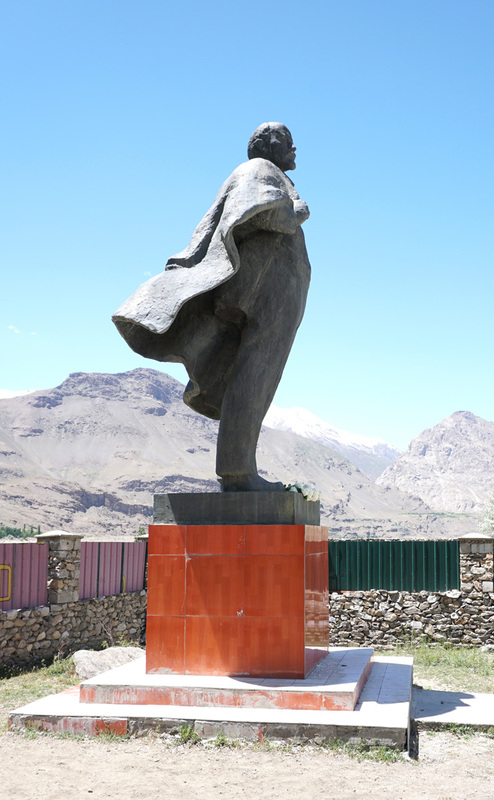 A giant silvery statue in Khojand, formerly Leninabad, formerly Alexandria-the-furthest, on the Jaxartes. 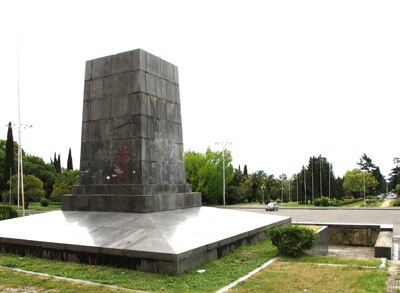 Hidden down a minor street. An unexpected discovery in Kiev, lurking in the street outside my hotel. 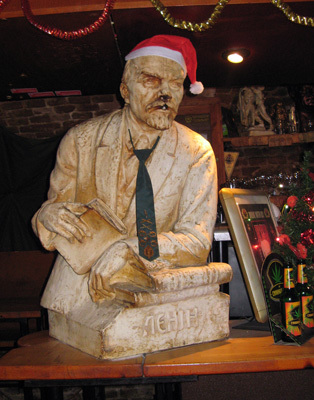 At the bar of history? 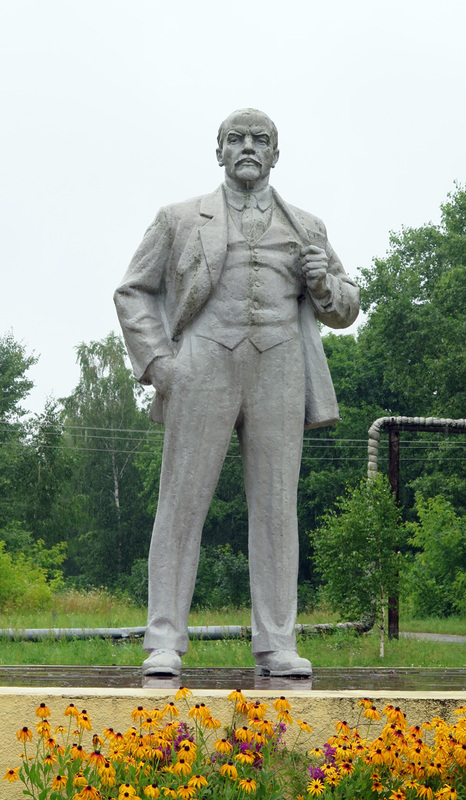 "Lenin and Acolytes Directing Traffic"
Lurking nervously just downsteam of a giant Soviet hydroelectric dam. Looking particularly wise, and strangely Asiatic. Relaxed, human, and slightly green. 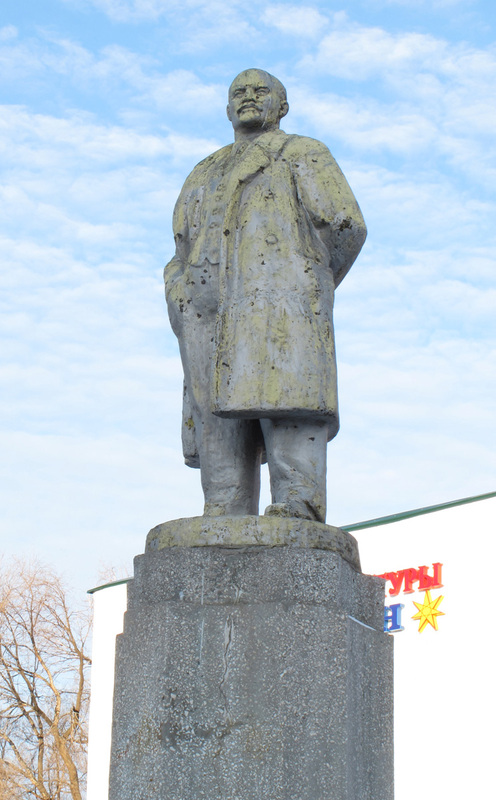 Looking crude and grumpy in Pinsk. 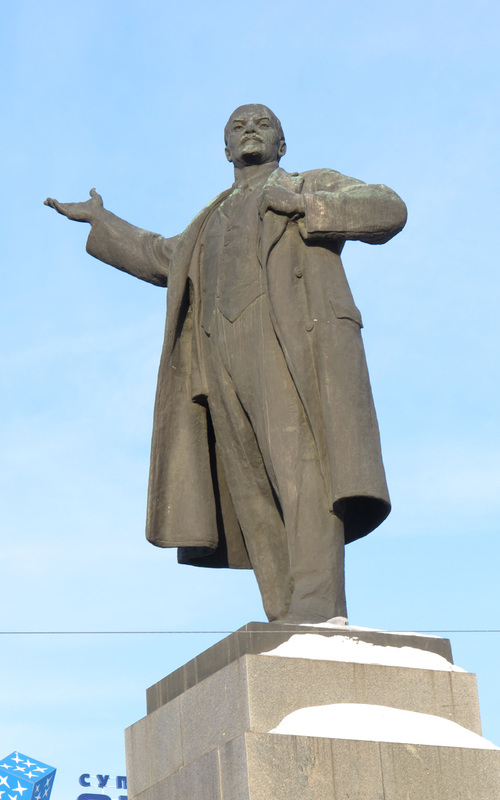 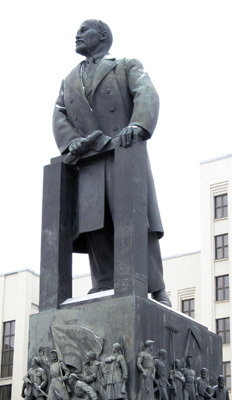 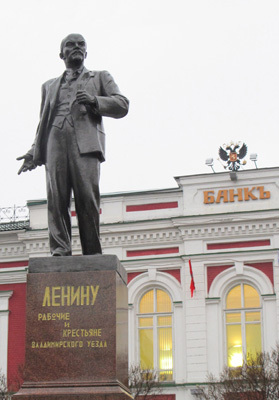 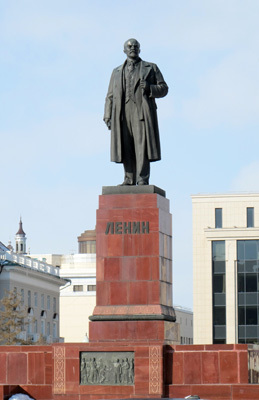 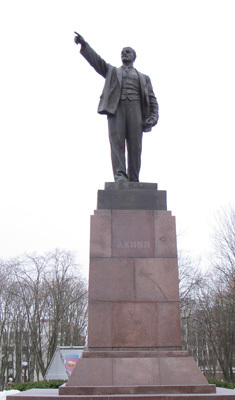 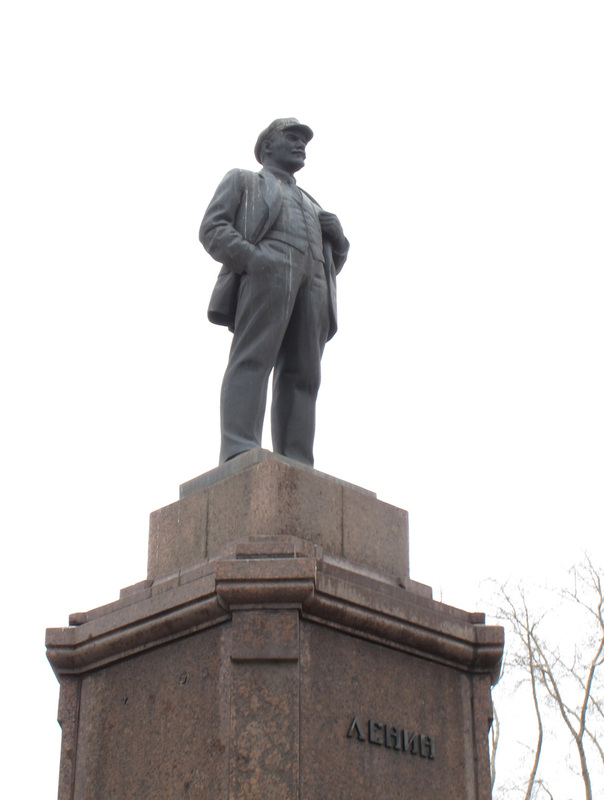 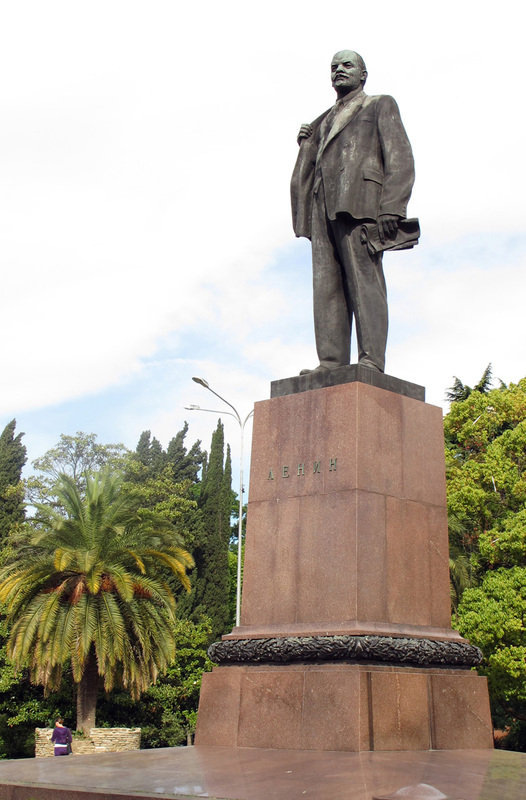 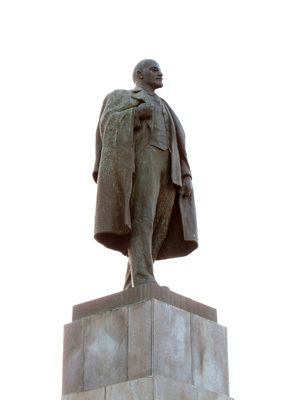 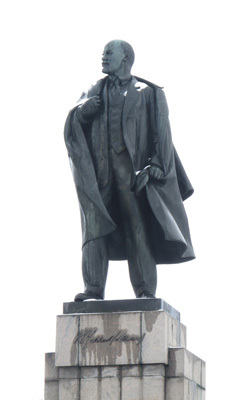 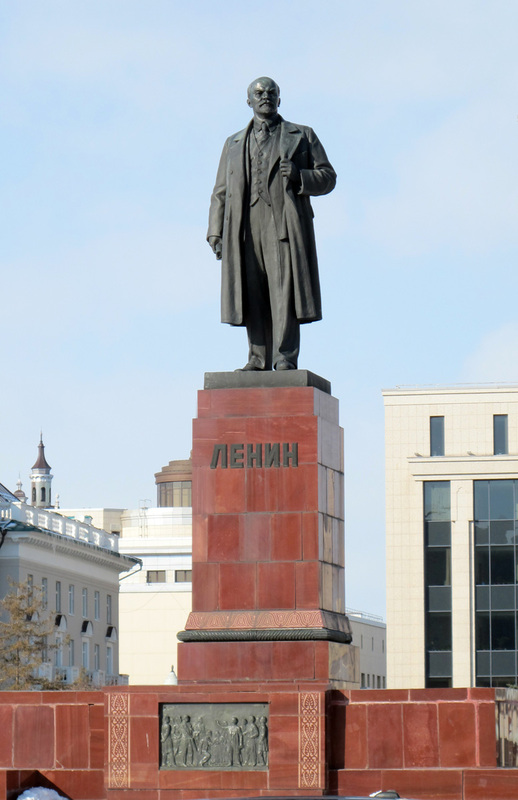 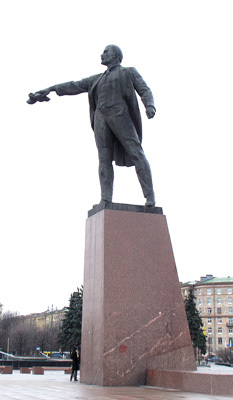 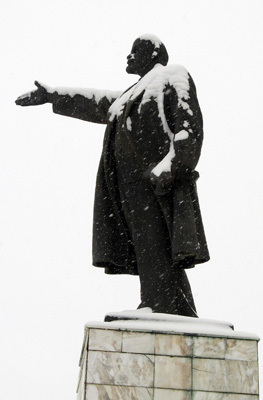 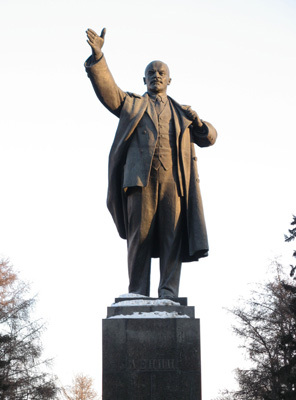 Perhaps the most famous Lenin statue of them all is in St Petersburg, at the Finland Station. 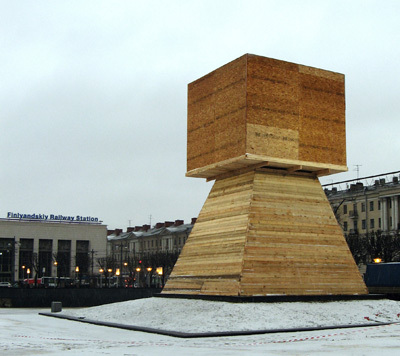 But it suffered bomb damage shortly before my 2009 visit, and was off for repairs, leaving only a boarded-up plinth. 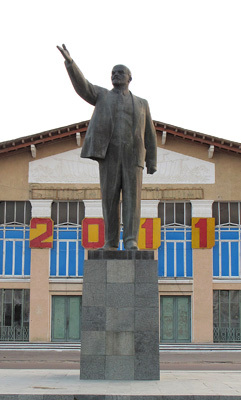 Restored and reinvigorated in 2011. With one of Sochi's palm trees. 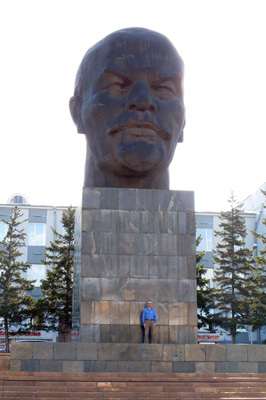 "The World's Largest Lenin Head"
The prophet in his home town. 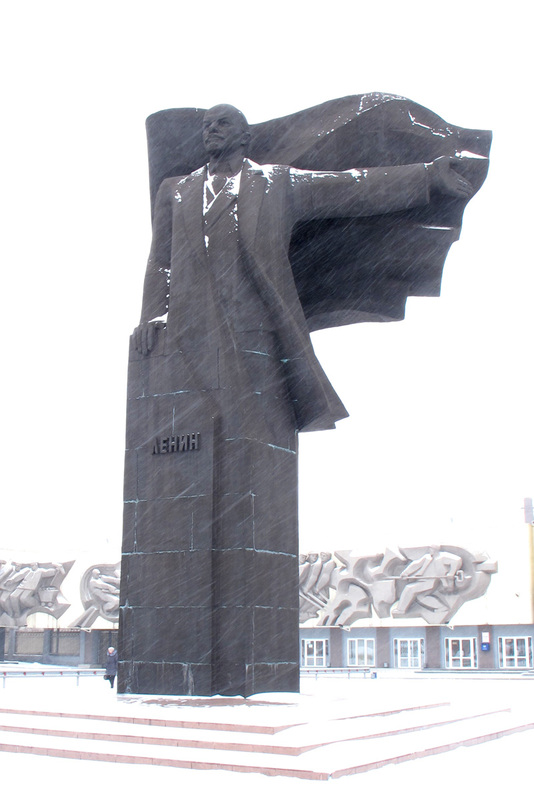 A particularly grand Lenin in Stalingrad. 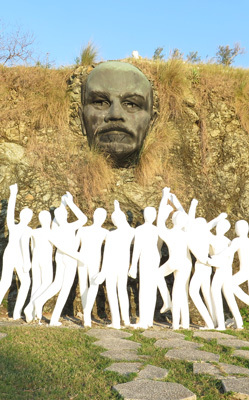 Looking cheerful at the seaside. In Bratislava's "KGB Bar", looking both festive and rather the worse for wear. Lurking uneasily outside a Taco del Mar at 600 N 36th Street. What is he doing here?